We don’t know whether you’re aware or not, but earlier this week, we had a little natter with the divine Amandah from Operator Please. We chatted about all sorts of bits and pieces – her extreme travel schedule, cassingles and, of course, the band’s new album ‘Gloves’. (Click HERE to read it). Simply send us an email containing your name and postal address to auspOp@ymail.com with the subject line “Gloves Please”. Then you’re in with the chance to win win win! Huzzah! Competition closes at 11:59pm AET on Thursday May 06, 2010. One entry per person. WInners drawn at random. 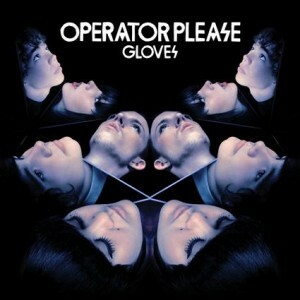 Five lucky pop kids will each receive a copy of the brand new Operator Please album ‘Gloves’, with special thanks to the team at EMI. Winners’ first names and suburbs will be published on the site on Friday May 07 so that you can gloat to your friends if you win. And don’t forget, we keep your details ‘secrets in a private room’ (borrowing a Kylie lyric there…), pillow talk in the afternoon.